Joseph Urban designed the Gingerbread Castle. He was an artistic genius and an incredibly hard working productive person. While trying to organize the materials about him for this library, the project librarian created the followed icon to consolidate Urban-related areas to explore, using an approximation of the color “Urban Blue” as its base; a color named for Joseph Urban himself. 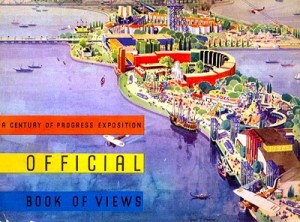 Urban “colored” the scene of the 1933 World’s Fair, but, sadly, did not live long enough to see it first hand. This was written three years before Urban passed away at the young age of 61. Hard working, clever, creative historical figures: the Historic District of the Wheatsworth Mill/Gingerbread Castle site boasts many who worked there: Joseph Sharp, Frederick Bennett, Thomas Edison and Joseph Urban. The Gingerbread Castle is one of only three full remaining buildings in the United States designed by Urban: Mar-A-Lago, The New School For Social Research are the other two. The Hearst Tower in New York City showcases a magnificent base designed by Urban, but the tower itself was completed by Norman Foster. The impact of the Great Depression had suspended the work in Urban’s time. His Castle, his “Gingerbread House” is often not mentioned, but perhaps this library can help contribute to closing that gap in awareness by contributing to the world’s understanding of Joseph Urban’s magnificent gift to the arts, architecture and most of all to the small New Jersey town of Hamburg. 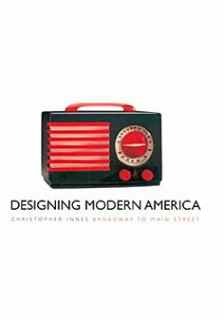 Much, in the same way that Hamburg deserves our attention as a early center of industry, invention and leadership for the State of New Jersey. What started as a project simply about the Gingerbread Castle, actually turned into a journey to explore the many facets of Joseph Urban. I was fascinated to learn that Mr. Urban’s wife, Mary, daughter, Gretl, and even his housekeeper, Miss Maria Friedrich, were all accomplished artists in their own right. 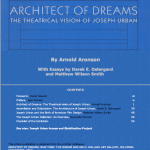 The Architect of Dreams is Columbia University’s Rare Book and Manuscript Library portal to the life and works of Joseph Urban. 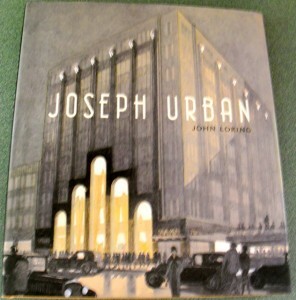 Columbia acquired Urban’s magnificent from Mary Porter Beegle Urban, Joseph’s widow, in 1958. Eighty years after his death, people are still discussing Urban’s contribution as an artist. 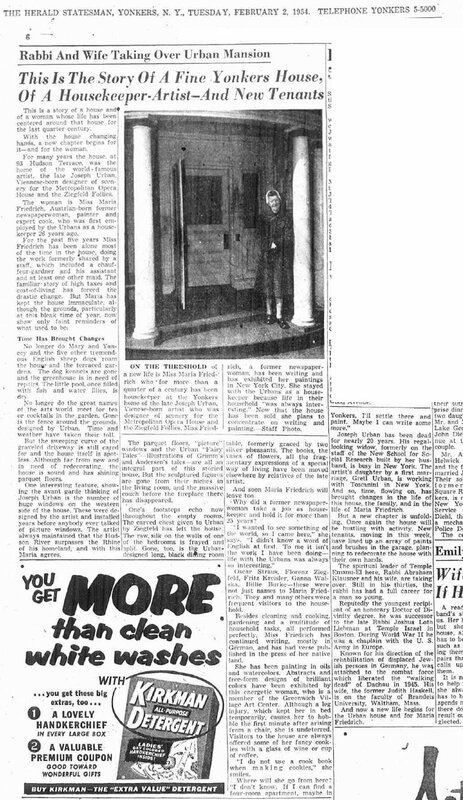 Additional material about Joseph Urban appears in the All About Urban. Consider reading the Activity in Blogs as well as the recently published books which celebrate his achievements in many fields. It is interesting, that as a bibliophile, library school student and self-proclaimed “library enthusiast”, I have never owned a more beautiful and magnificent book than the one by Loring about Joseph Urban’s work, purchased for this project.